Lens flare is a non-image forming light that is scattered in the lens system. It is commonly caused by bright light traveling the unintended path, reflecting within the lens element a number of times before reaching the digital image sensor. It reduces contrast, saturation and can degrade the quality of the image. 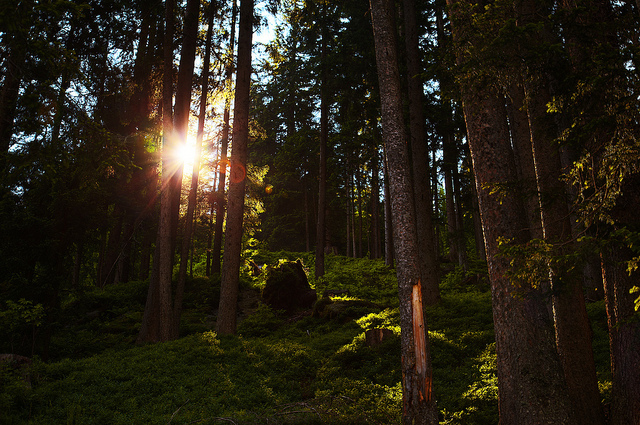 Wide angle and zoom lens are more prone to lens flare compared to a prime lens. This is because these lenses consist of more lens element. Therefore, more chances for the light to reflect within the lens element. The diagram below shows you what happens when light enters the lens through an unintended path. Is Lens Flare Good or Bad? And there is no right or wrong answer to it. 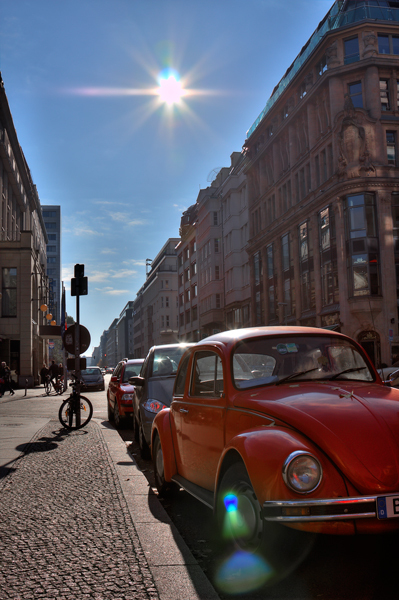 Lens flare can be both good and bad, depending on your intention and your interpretation. Although it is an artifact, some photographers tried to harness the effect to their benefit. When used correctly, it can make your image pop. In other cases, it can degrade the quality of your image. Sometimes, it can be removed during post-processing but in others, it can render your image unusable. How To Remove Lens Flare? 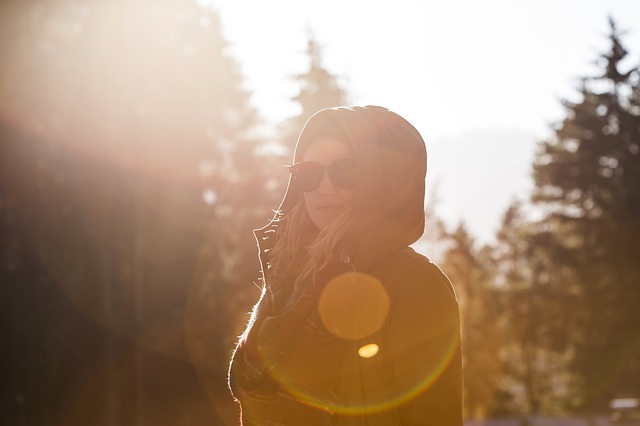 There are generally 2 occasions where you can avoid or remove unwanted lens flare. It is either before you capture the image or during post-processing. Be aware of lens flare when you are shooting in the presence of intense sunlight (especially during midday) or directly at the sun. Make sure you check your image on the LCD screen after each shot. Re-shoot if necessary or if you didn’t like the effect. Here are a few tips you can do to avoid lens flare during shooting. Use a lens hood. You can either use the manufacturer’s lens hood or a third party lens hood. Some lens hood can cause vignette – so watch out! Shoot in the shade or get your subject under the shade. If you are shooting into the source of light (I do that a lot! ), here is a technique you will find very helpful. Mount your camera on a tripod, take the image that you intend to and see if there is lens flare. If there is, take a second image by blocking the source of the light with your thumb (or a finger, or anything). Blend these 2 images together during post-processing using a layer mask. Watch this video tutorial to learn how to remove lens flare with this technique in Photoshop (even if you’re not a regular Photoshop user, the steps are really easy). Sometimes you forget to check or you missed it on the LCD screen because it is so small. Depending on the extent and how much your image is affected, you may not be able to do anything about it. If the affected area is small or it doesn’t involve areas with multiple colors, you can fix it with the following techniques in Photoshop or any editing software. Use the stamp tool, the brush tool or the spot healing brush tool. 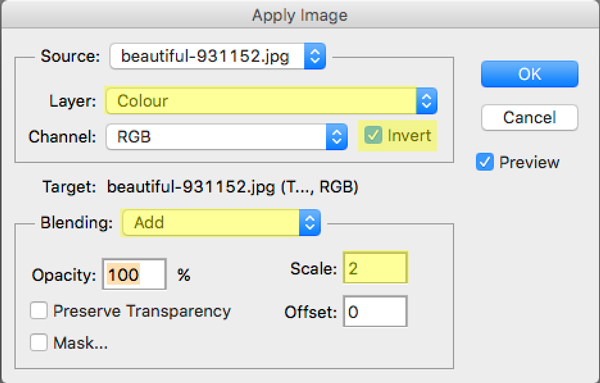 First, create a new layer or duplicate the background layer (so you are not editing directly on the original image itself). Use these tool alone or in combination to cover up or clone out the flare. Adobe has improved the spot healing brush tool in CS6 so it is worth trying it if all things fail. The principle is to separate the texture and the color into 2 separate layers. For example, when you want to adjust the color of the skin, you won’t flatten the image because the texture of the skin is unaffected. Similarly, when you want to get rid of a scar or a blemish on the skin (texture), you won’t affect the color because it is on another layer. Watch the video tutorial below to learn how to do it and download the free Photoshop actions for frequency separation and try it yourself. Here are the steps to create frequency separation. Change the blend mode of the texture layer to linear light. You have just separated the color and texture into 2 separate layers! 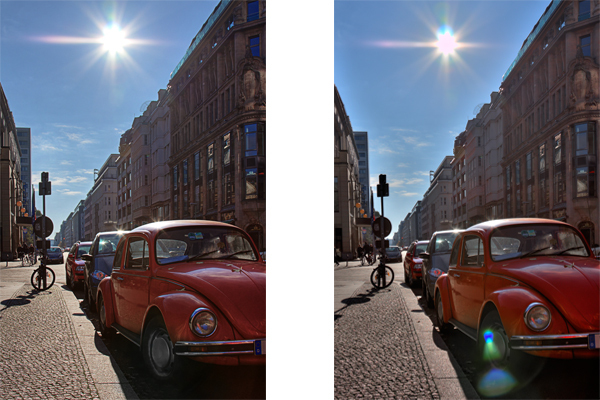 Lens flare is a color on the image, so to remove it, we need to be working on the color layer. To do that, create a new layer on top of the color layer.